Humans have the worst habit of letting self-loathing thoughts cycle endlessly in their heads. If you&apos;ve ever struggled with your weight, for instance, you know what I mean. 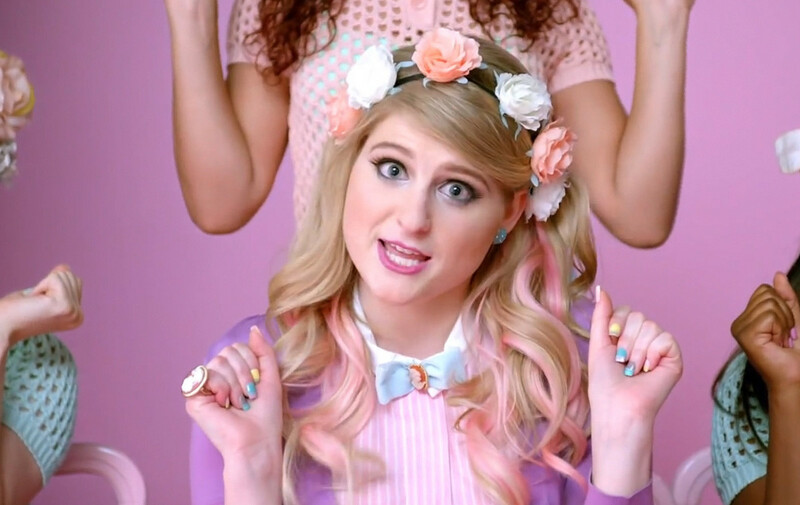 Well happy day, an antidote has arrived in the form of Nashville singer Meghan Trainor&apos;s All About That Bass. "I know you think you&apos;re fat, but I&apos;m here to tell ya every inch of you is perfect from the bottom to the top," sings a cheeky Meghan Trainor in All About That Bass, an ultra-peppy ditty all about, it turns out, accepting yourself whatever your size. Now don&apos;t go thinking this is just another preachy self-esteem anthem -- it ain&apos;t. A hip-swinging debut for the 20-year-old Trainer, this tune is an infectious combination of sass and straight-talk. "I wrote this song because I myself struggle with this concept of self-acceptance," Trainor told the Huffington Post via email. "It was written from a real place so I’m glad that other people can relate to it." Meghan Trainor&apos;s All About That Bass isn&apos;t the first to grab attention with a message of love yourself, damnit! Christina Aguilera&apos;s Beautiful did pretty well, right? But in contrast, All About That Bass is sooooo ridiculously catchy that you won&apos;t be able to get it out of your mental rotation. And for a change, that&apos;s a very good thing. When it comes to negative self-thought, All About the Bass is a waaaay more better tune to get stuck in your head. Now, with "I&apos;m all about that bass, &apos;bout that bass, no treble" on repeat in your laptop and in your brain, go check out Dare magazine&apos;s eye-catching summer issue. The bathing suit story, which includes the above photo, is gorgeous. 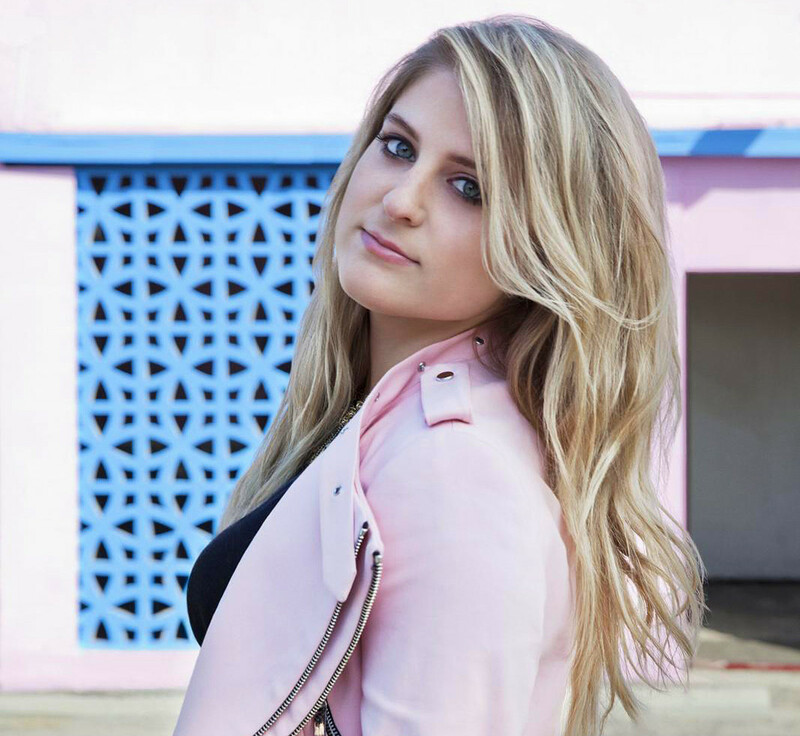 UPDATE: Turns out that although Meghan Trainor wrote All About That Bass, she wasn&apos;t originally supposed to sing it. Get the details here at cosmopolitan.com. 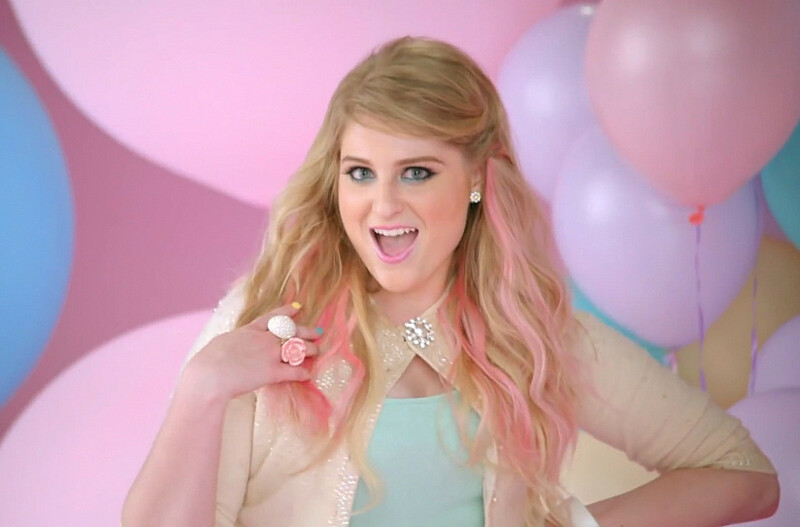 All About That Bass is, of course, available via iTunes.